The Body Sculpt Wraps is blended with a potent formula combining natural herbal ingredients which penetrate from one side of a cloth delivery system onto the applied area. The process takes approximately 45 minutes. The Body Sculpt Wrap can be places on any area of the body that you wish to tone, tighten and firm. 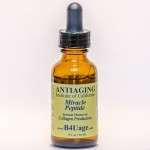 The powerful formula also encourages faster cell turnover enhancing the skin’s ability to renew itself. The concept of spot-slimming is based on a complex science but is formulated for a simple delivery. Unlike liposuction, The Body Sculpt Wrap does not remove adipose cells from a fatty area. 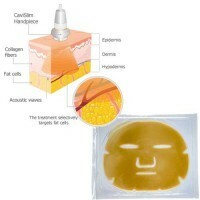 Instead, it promotes the depletion of excess fat and toxins stored in adipose cells in the treated area. As a result, engorged cells shrink back to their normal size when the fat and toxins leave. The Body Sculpt Wrap then facilitates the burning of excess fat. The Body Sculpt Wrap can keep your adipose cells lean, indefinitely, allowing you to keep in control of those problem areas at anytime that is convenient for you. Furthermore, spot-slimming with targeted results can occur without any change in your eating and activity patterns (but of course results are faster and more sustainable when combined with proper nutrition and fitness program). Drinking plenty of water is recommended to flush away toxins from your lymphatic system.